Our panel of Expert Advisors has been selected to represent the depth of knowledge and experience in the AECB network. We recommend them all as accomplished experts in sustainable building, each with their own unique achievements and qualifications. They offer strategic, commercial, design or technical insight and advice, whether you need an hour or a day of their time. Please contact them directly to discuss your requirements and receive a quote for consultation. In order to make their expertise more widely available, each expert advisor has also kindly agreed to participate in one interactive AECB webinar each year on their area of expertise: these are available to all AECB members. Look out for details of future AECB webinars here or sign up to our newsletter for announcements. AECB Patron members benefit from one full day of advice from one of our Expert Advisors as part of the Patron Package. Bill Butcher was project leader of the Denby Dale Passivhaus, Stirley Farm EnerPHit, and Golcar Passivhaus projects including several notable radical retrofits and is currently leading the Kirkburton Passivhaus project. 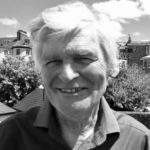 Originally trained as a quantity surveyor, he has over 45 years’ building experience both hands-on and managing , including construction of the Longwood low-energy house in the early 1990s. He jointly set up Green Building Store in 1995 and amongst other duties runs the construction and consultancy sections of the business advising on numerous low energy and PH projects. Bill is a Certified Passive House Consultant and a Certified Passive House Tradesperson. 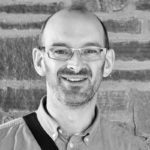 He also serves on the Technical Panel of the Passivhaus Trust, teaches on the Construction module of the CarbonLite CEPH Designer course and is a tutor on the CarbonLite Retrofit course. Mark is an architect with 23 years’ experience, working on low energy design projects both new-build and retrofit. He was responsible for around a sixth of the Government’s Retrofit for the Future programme and was lead architect for a number of exemplar high-rise retrofit projects including the Edward Woods Estate; Parkview Hub, which innovated with prefabricated retrofit; and Wilmcote House, adopting a step-by-step approach to EnerPHit retrofit with residents in-situ. At Cowan Architects, he is also working on delivering Passivhaus projects with a focus on accessible design for severely disabled occupants. 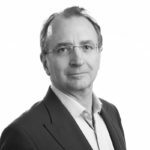 He is a former member of the RIBA’s Sustainable Futures Group and is a long-standing member of CIBSE’s Homes for the Future working group, advising on low energy design and retrofit. He is also the only Cornish-speaking architect in the world! Tim is an expert in PHPP energy calculations for new build and retrofit projects, Thermal Bridge calculations, software, monitoring and moisture issues. In PHPP designs he optimises for energy, overheating and lifetime cost for retrofits. 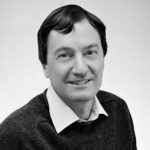 He’s the author of the AECB PHribbon & REALcosting software, backed up with considerable expertise in Excel, macro/Visual Basic programming and calculations. He’s an expert in THERM for Thermal Bridge calculations, Omnisense monitoring equipment, diagnosis of rot and mould risks, drawings in Revit, Building Regs and low carbon strategy. 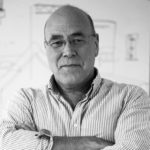 Eric is an architect and long-term AECB member whose career has focused solely on practicing energy saving design. 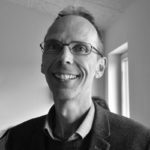 He has been a regular trainer on the AECB’s CarbonLite Passivhaus Designer course and is keen to asssit self-builders, other building practicioners and professionsals in desiging and building to high standards of energy saving and comfort. Harry is an architect with a passion for beautifully crafted buildings that deliver robust building performance. He is a certified passivhaus designer with experience in new-build and deep retrofit of historic and modern buildings. 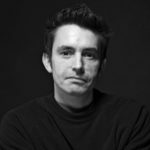 Harry was named RIBA London Project Architect of the year 2018 and is a co-director of the RIBA Chartered Practice Arboreal Architecture and co-founder of the 15-40 low energy architecture collective. He is currently a member of the STBA (Sustainable Traditional Buildings Association) Panel of Experts and co-chair of the Technical Working Group on retrofit for the UK Centre for Moisture in Buildings. Energy consultant and trainer; Director of Alan Pither Ltd.
Alan Pither is a highly experienced advisor who has worked on energy and environmental assessment throughout the UK for over 30 years, with a large proportion of his work involving the modelling of building energy efficiency both at the individual dwelling and housing stock levels. He has a thorough understanding of the Standard Assessment Procedure (SAP) and the BREDEM model that underpins it as well as reduced data and the minimum data sets used for assessing existing housing where the full details are not available. Since 1998, Alan has been working as an independent consultant and trainer, offering a wide range of services to building owners, local authorities, housing associations and commercial organisations. He is accredited as a Domestic Energy Assessor, an On Construction Domestic Energy Assessor and a CIBSE Low Carbon Consultant. He was also one of the first BREEAM assessors in 1990 and is a BREEAM Accredited Professional and licensed to carry out BREEAM assessments on most building types as well as Code for Sustainable Homes and Home Quality Mark assessments on new build homes. Alan has an outstanding reputation as a trainer of energy assessors and BREEM/Code for Sustainable homes assessors and is a Member of the Society for Education and Training. He has many years’ experience of training housing providers and local authority staff on energy advice and related issues including fuel poverty. He also delivers the Retrofit Coordinator training for the Retrofit Academy. Architect specialising in low energy fabric first design for new build and retrofit. Passivhaus certified designer. Robert is an architect who has expertise in low energy design. Prewett Bizley has delivered new build passivhaus homes and have pioneered deep low energy retrofit projects across a range of house types. We were one of the first to talk about whole house design and continue to teach on the subject of retrofit. 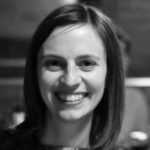 Sarah has experience of working on a wide variety of projects related to energy in the built environment from concept through to commissioning, and in 2011 she wrote the city wide energy strategy for Birmingham City Council. More recently she has specialised in project delivery, managing several Innovate UK projects and is now embarking on a BEIS funded project to develop a new external cladding system to achieve 80% reduction in carbon emissions in a single step. She is a specialist in the technical performance in buildings including thermal bridge analysis, energy modelling, moisture, MVHR and has a deep understanding of the relationship between different building performance standards in the UK from Building Regulations to Passivhaus. 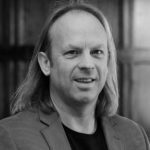 As an architect with over 20 years experience in the building industry, Mark works at the forefront of building design. If you need to develop better building technologies, improved techniques or new cost effective strategies that consider hygrothermal performance, comfort, health or well-being then Mark’s no-nonsense EROS framework will help you develop well considered, effective, scale-able solutions that avoid performance gaps. Mark has experience with retrofits, Passivhaus developments as well as housing, laboratories and listed buildings. 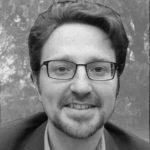 Will is a Passivhaus Certifier, Passivhaus Designer and Mechanical Engineer focusing on building fabric and heat transfer. He can help you understand the energy performance of your design, prove compliance, learn the details of PHPP, or develop a construction design. 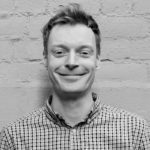 Will has a particular interest in achieving energy performance in practice, with input on quality assurance during construction. He has previously helped manufacturers hone their design for thermal performance, and contractors meet Passivhaus airtightness requirements. 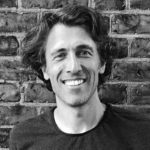 Will is a Director of Etude, and teaches on the AECB Carbonlite Passivhaus Designer Course. Initial Chair of AECB (in distant past). Peter has over 30 years’ experience in energy consultancy, he claims he has carried out energy surveys on every type of building imaginable. Set up WARM: Low Energy Building Practice some 10 years ago with daughter Sally Godber, now 6 strong. He has built five of his own low energy buildings, including the WARM EnerPHit office (they do get better). Focusses on practical implementation of low energy buildings. Was first active Passivhaus certifier in the UK. Organised CarbonLite set of Passivhaus Trainers to promote low energy design, now a decade on. Dreams of Passivhaus becoming normal. Dr Stacey Dawn Waring who has held a Class II Bat Licence (No. 2015-6768-CLS-CLS) for 6 years and is an Associate Member of CIEEM. 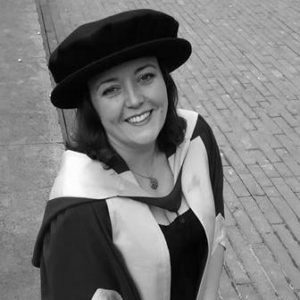 She has 8 years’ experience of carrying out research for the Bat Conservation Trust and has worked with several ecological consultancies conducting bat surveys for over a decade. I am an interdisciplinary zoologist with a passion for conserving urban biodiversity. I adopt an organised and enthusiastic approach to my work and have experience in liaising with a wide range of people and industries. I believe my greatest contribution to an organisation is my ability to achieve results through my methodical, determined and hardworking nature. Over the past five years I have led pioneering research and developed creative methods for studying the conservation of bats in relation to urbanisation. I have brought together aspects of zoology, ecology, engineering and materials sciences to bridge the gap between conservation and construction.